Badminton is one of the exciting events in Olympic Games. 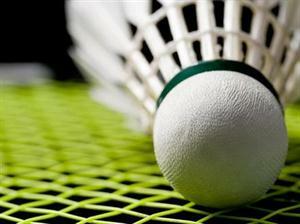 Badminton Competition will be held from 28th July 2012 to 5th August 2012. Wembley Arena is fixed as the venue for Badminton event in 2012 London Olympics. There will be five events in the Badminton competition for London Olympics which includes Men's singles, Women's singles, Men's doubles, Women's doubles and Mixed doubles. There will be group stages and Knock outs in the tournament. The Qualification period for Badminton for London Olympics 2012 is from 2nd May 2011 to 29th April 2012. The qualification is based on the ranking as per BWF. More details about the qualification system and competition method for London Olympics Badminton championship is given below. The Qualification of Badminton event for London Olympics 2012 is based on the BWF rankings. The final rank list will be prepared on 3rd May 2012 which is used final review for Badminton qualification for London Olympics 2012. Rankings is counted for 38 places for singles event for both Men and women's event, 32 places for Men's and women's doubles event and 32 places for mixed doubles. The qualification is strictly based on BWF rules and regulations. as per BWF qualification for London Olympics 2012, the following championships and series are considered to evaluate the rankings and qualification for Badminton event. The competition method for London Olympics Badminton event is arranged in the form of group stages and knocks out stages. In singles there will be 16 groups where each group consists of maximum 4 players. In doubles category, there will be four groups where each group includes 4 players. The qualified players are placed on each group according to their rankings. Groupings in singles are done from 'A' to 'P'. Player with rank 1 will be placed in group A, No 2 in group P, No 3 and 4 in Group e and L, 5 to 8 in C, G, J and N groups and 9 to 16 in rest of the groups. In Doubles, Rank 1 is placed in Group A, No 2 in Group D, No 3 and No 4 in Group B and C.